An AR-15 rifle police say was stolen from a home in Milbridge. 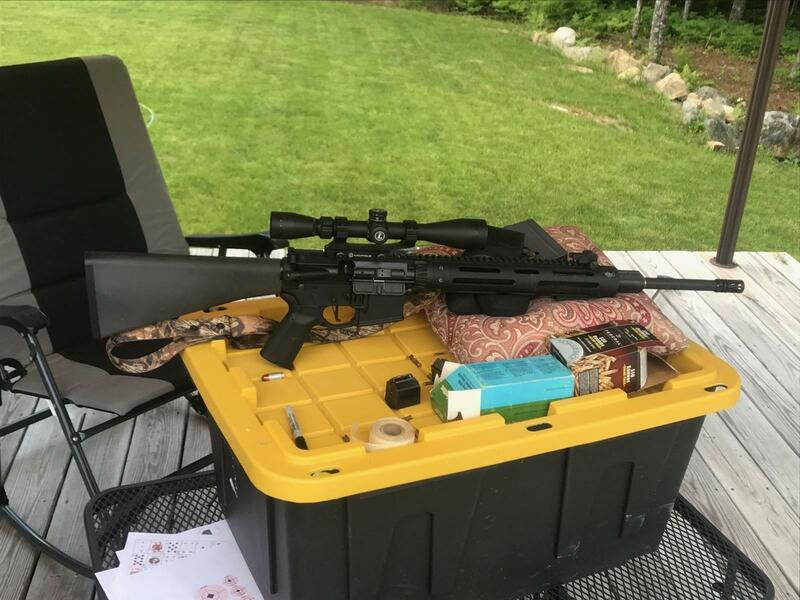 Milbridge police and the Maine State Police are investigating the theft of more than a dozen firearms and 45,000 rounds of ammunition from a Milbridge homeowner. Milbridge Police Chief Lewis Pinkham said the homeowner believes the items were taken between November and April while the home was vacant. He said a $1,000 reward is being offered for information leading to the arrest of those responsible for the crime. "Either contact me by calling here or they can contact me through Facebook," Pinkham said, "or they can send me an email and my email is Milbridgetown@gmail.com and that goes right directly to me." Police said the burglar or burglars broke a window to gain access to the residence. Pinkham said the investigation has yielded some results, but solid leads remain elusive. "We did find the entry, the Maine State Police forensic team was there and assisted our officers trying to recover any evidence, and what they had recovered they have taken to the crime lab, and we don't have any results yet." Pinkham said the types of firearms stolen include an AR-15 rifle, numerous handguns, shotguns and black powder Daniel Boone-style rifles.